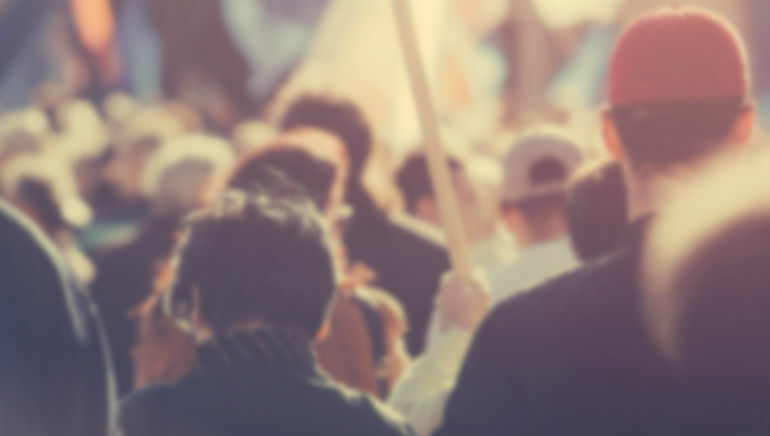 As a society Australia has much to lose from any future failure of the national census, writes Dr Tessa Boyd-Caine, CEO of Health Justice Australia. Recently the Senate Economics Committee released its inquiry report into the ill-fated 2016 census. Even before the census went live in August, there were privacy concerns about it collecting and keeping new data for the Australian Bureau of Statistics. The Senate committee addressed these privacy concerns directly, with clear recommendations for longer notice periods and more adequate consultation on future changes to the census. Another set of the committee’s recommendations has received little attention so far. These indicate that the census is under-funded, faces annual uncertainty about what funding is available and receives minimal political interest in its role or purpose. The privacy concerns, overlaid by the catastrophic shutting down of its website the night the census went live, fuelled the outcry of “census fail”. Yet, as a society, we have much to lose from any failure of the census. For a start, how we understand the population changes that will affect local schools, community services and infrastructure. In my work, linking health services with legal support, the census also provides crucial information about community vulnerability and areas of need. In Australia, over one in five people have three or more legal needs in any given year. These are the legal needs of life like employment, housing, family breakdown and credit and debt issues. People living with disabilities, people reliant on income support payments, people living in disadvantaged housing and sole parents are highly represented among those with unmet legal need. We also know that people are much more likely to raise their legal needs with a trusted health professional than to go and see a lawyer. We wouldn’t know any of this if the census didn’t provide routine, reliable information about our population as a whole. For any social problem like unmet legal need, we first need to measure the extent of that problem in the population. Expense alone means we can’t survey everyone to understand every issue in every community. So researchers, like those who have investigated legal need in Australia, develop a sample frame: a valid, representative sample based on what we know about the broader community. They do that using the rigorous, reliable information collected through the census. The census also provides unique measures for rare, small or vulnerable groups; people who are often hard to capture in other surveys and research processes. These might be people living in rural or remote settings, from particular cultural or linguistically diverse communities or experiencing homelessness. Without these measures, we would be ill-equipped to develop policies, programs and services that best meet the needs of our diverse population. When the evidence about unmet legal need was published in Australia four years ago, community legal services started to look at new ways to deliver their services to people who need them. They developed Health Justice Partnerships as a response. Recognising that many vulnerable people already trust their health providers, these partnerships build relationships between health and legal organisations so that people can access legal advice when they go to their health service. Today, health justice partnerships in hospitals and community health settings are supporting people experiencing domestic and family violence, people at risk of elder abuse, Aboriginal and Torres Strait Islander communities, and culturally and linguistically diverse communities. To support these partnerships around the country, Health Justice Australia works to develop new evidence about what services work better, for whom and why. But without the rigour and reliability of census data, we wouldn’t even know we had a problem of unmet legal need in Australia – let alone how to fix it. The lessons of census 2016 need to strengthen, not weaken, the ABS and its continuing population-based research.The census is the basis of our national understanding about the breadth and diversity of Australian society. It is also absolutely vital for the ongoing challenge to ensure that, as Australia continues to prosper, our most vulnerable and diverse communities are not left behind. About the author: Dr Tessa Boyd-Caine is CEO of Health Justice Australia, the national centre for health justice partnership. 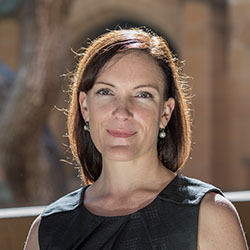 In 2014 Boyd-Caine received a Fulbright Professional Scholarship in Non-profit Leadership, supported by Origin Foundation and Australian Scholarships Foundation. She has worked in health, criminal justice and human rights organisations in Australia and internationally and was previously deputy CEO of the Australian Council of Social Service. She tweets at @tboydcaine. This is pretty uncontroversial stuff, but I think it misses the point. Yes, the census as it has been used for past decades is a hugely important part of understanding our population in the aggregate. The question is whether we’re prepared to see that prepared with a system that keeps data about individuals indefinitely. You avoid this question entirely. None of the examples of the usefulness of census data you give require keeping records on individuals as opposed to keeping only the aggregated data. You are rather too kind to the Senate committee with respect to their addressing the privacy issues. They failed to correct any of what has occurred, or recommend that it be corrected. They should have ordered that the individual records should be destroyed, having been obtained with only a farcical pretense of public consultation. Instead, they have only made some vague recommendations about communications for future application only. They were I think rather let off the hook by all the media attention given to the DDOS attacks and technical failures.